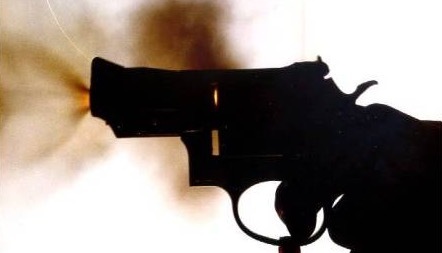 A 19-year-old DePaul University student was shot in the leg during a robbery attempt near the school’s Lincoln Park campus late Monday night. The victim got caught up in the robbery after he walked out of a 7-Eleven store at 2600 North Lincoln Avenue around 11:45 p.m.
One of the offenders opened fire after he started to run away, striking him in the lower left leg, according to police. He is in good condition. The robbers are described as two black men in their 20’s who stand about 6-feet tall. They were wearing dark clothing, the victim said. 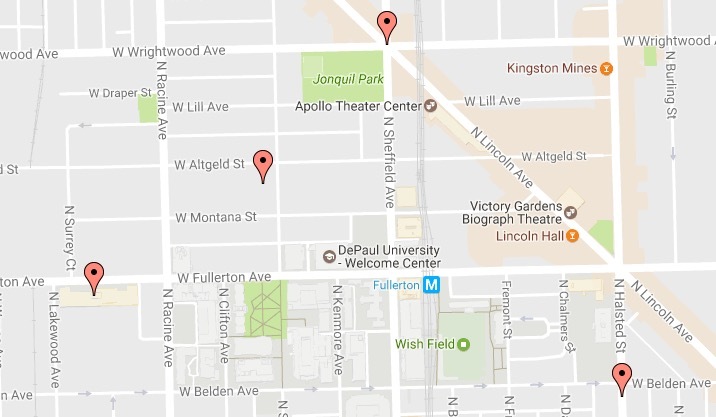 DePaul University’s Public Safety Department has issued three warnings to students about armed robberies near the school’s campus this year. • On January 18, a student was robbed at gunpoint near the intersection of Seminary and Montana around 2:30 p.m.
• On January 27, two students were robbed at gunpoint next to a DePaul housing center at 1237 West Fullerton around 3:00 a.m.
• On March 1, a DePaul student was robbed at gunpoint as he walked in the 2200 block of North Halsted around 3 p.m.
• Three women were robbed at gunpoint as they walked in the 2500 block of North Burling shortly after noon on February 5. • A victim was robbed at gunpoint by two men who wore ski masks in the 1200 block of West Draper at 2:20 a.m. on February 8.